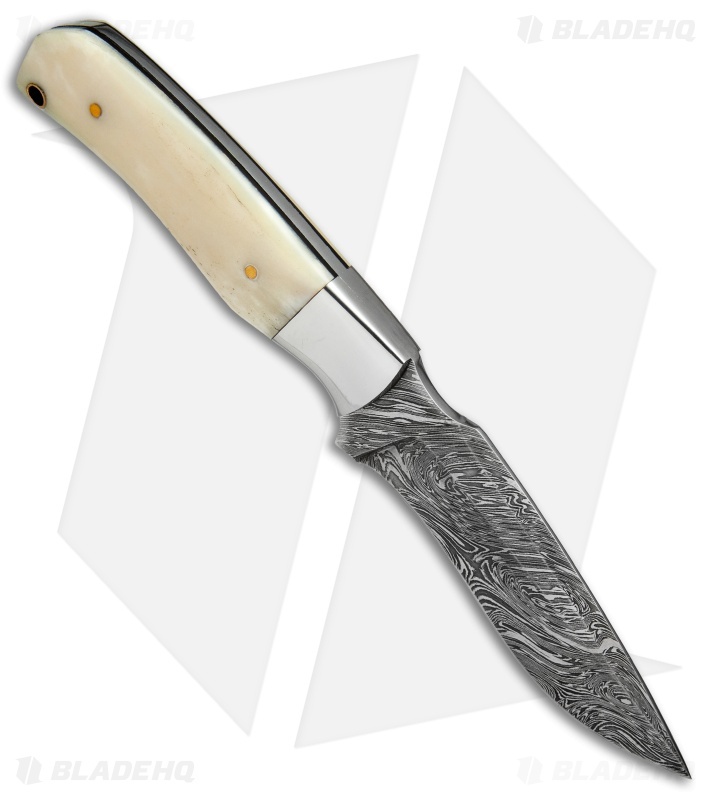 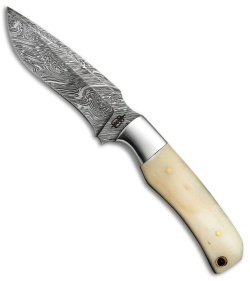 This Buck N Bear Whitestone Fang Hunter offers a full tang design for managing all of your tough cutting jobs. 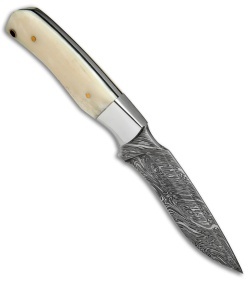 It has a damascus blade with a VG-10 steel core in a drop point style. The handle is made from white bone with polished steel bolsters and brass pins. 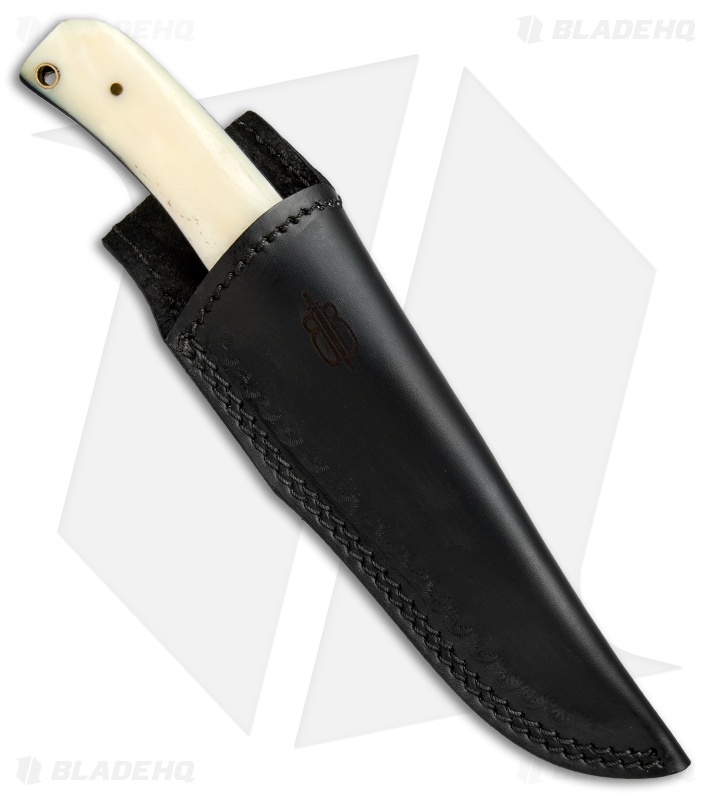 Item includes a leather sheath with a belt loop for comfortable carry.